**Update October 26th 2018** : loading bug in previous version was actually caused by the excessively high-poly pyccna spaceship model. thanks to cH'Daemes, the vertex count was drastically lowered and hopefully the map won't crash while loading. 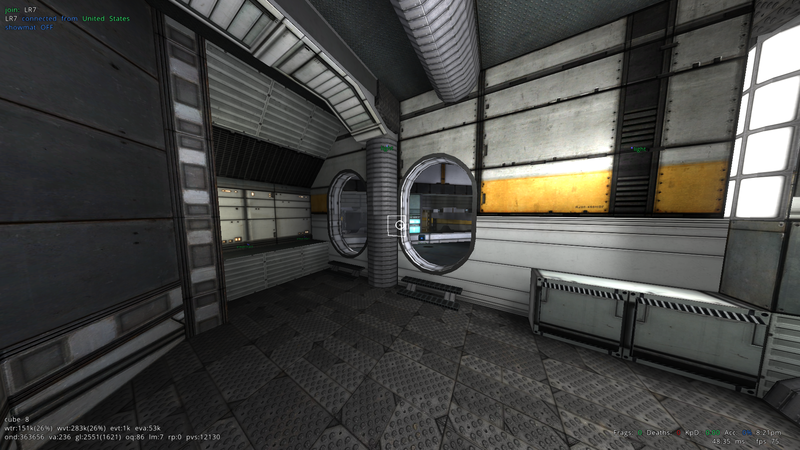 Also fixed a clipping error in a hallway. **Update November 12th 2018** : completely removed the ffs_pyccna mapmodel and variants from the map. it just wasn't worth the crashing errors users got randomly. Sorry Daemes, but your efforts were ultimately fruitless. 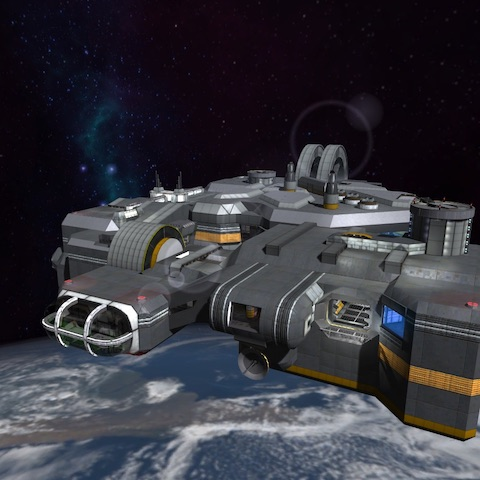 **Update February 25th 2019** : largest update since creation; simplified many textures, large changes to layout near the center of map, changed the texture of the earth below the map, removed unneeded health and ammo, enlarged and smoothed out evil base, widened some doorways, changed the copyrighted logo model to an original creation, updated loading pic. Please don't include content from other authors directly into your node (or even zip-file). This creates mismatches when such content is being updated (as the content provided in your zip-file might be different than that of the original author). Just add a link towards the necassery content). If the license allows it, you are welcome to modify the content and add that under your name in the directory of what it is. Please rather not, as that still conflicts the original content. If everyone would include custom content from the same author in their zip-file, there's a high chance someone messes up. That's why just link the necassery content. It's also an act of support towards that author. Your past 20+ posts, on quad, and sauerworld, are nothing but complaints. You don't create maps or content, you just complain, and if you can't complain, you find a way to complain. Let go of your old ways and stop bitching over the tiniest things. You haven't even gave feedback on this map, just complaints. I won't reply om this as it had nothing to do without the map. Have a nice day matey. At first sight, the map has some nice details. The spacecrafts, a car and the platform for the flags for example, show that there has been spend time on that aspect. The texturing however, doesn't feel right to me. The curvy doorways aren't feeling right with this set of textures (and vice versa). The flow of the map feels good. This is partly because of a good clipping. However, the performance on the map isn't that great with so much wtr at stake. This map is sick! I think you used pk02 really well here. My favorite is the greenhouse room. 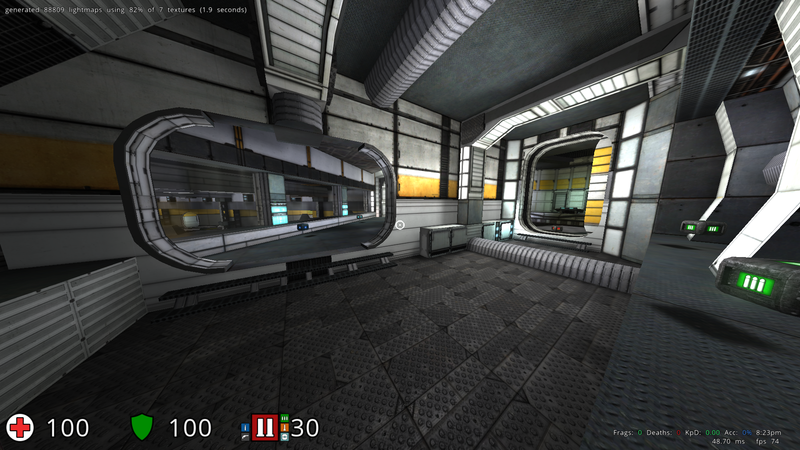 I really dig the airlock healthboost too. I like how you've set it up so the straightest flagrun is the most vulnerable, but you have plenty of opportunities to take an alternate route for safety if needed. Only complaint is that I don't quite understand the double doorways. Putting a giant pillar in the middle of where you're running makes things feel a little tight and could be a lot cleaner if you just removed them. Some of them I can sort of see what you're going for, but this one especially... I think removing it looks a lot better, but you might have some reason it's like that and I just missed it. Anyway, this map is creative, fun, and pretty unique considering the cliche textures. I give it a 8/10!